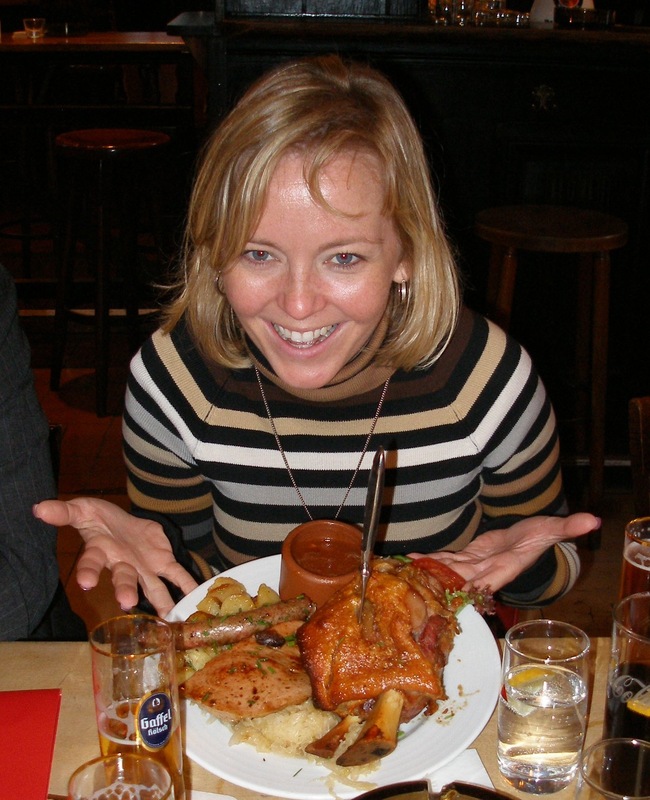 Struggling with portion size in a 700-year-old restaurant on a planners' fam organized by the German Convention Bureau. Option 2 is a half-day workshop which can include keynote address, as well as a critique of websites, collateral material, presentations, media relations and a site inspection bootcamp. We will discuss media coverage and how to get it (there are some easy, obvious things many places don’t do), and address pros and cons to doing business in your community. This deals with building up the pros and learning how to positively address perceived cons. It’s about managing the message, media and meetings.